Dr. Shih-Shih Chen received her bachelor’s degree from Fu-Jen Catholic University, Taiwan, and her master’s in Pharmacy from the National Yang-Ming University. She later received her doctorate in molecular genetics in the Ohio State University in the US. Her thesis focused on global epigenetic changes in Chronic Lymphocytic Leukemia (CLL) disease initiation and development using a mouse model of CLL. In 2008, Dr. Chen was recruited as a postdoctoral fellow by Dr. Nicholas Chiorazzi to work at The Feinstein Institutes for Medical Research. Her work has focused primarily on developing mouse models of human CLL, and using these models to address scientifically- and medically- relevant questions. Dr. Chen’s research has received a number of awards at national and international meetings. 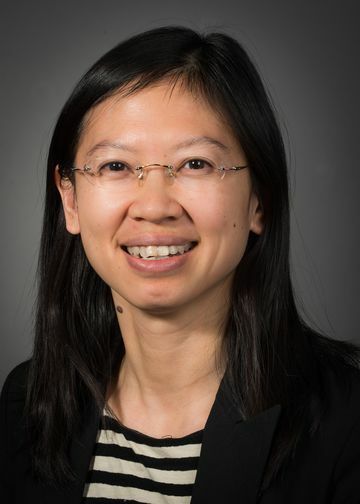 Recently, Dr. Chen received a position in the Karches Center for CLL Research of The Feinstein Institutes for Medical Research at the rank of Assistant Professor in the lab of Dr. Nicholas Chiorazzi. She is now focusing on translational cancer research. Her long-term goal is to find a way to cure CLL by combining laboratory bench work with pre-clinical research and clinical trials. Dr. Chen is interested in establishing a robust mouse xenograft model of CLL using primary patient cells and then employing this model to study the heterogeneity of CLL patients’ cells. Together with other colleagues, Dr. Chen has been integral in helping the Chiorazzi lab develop a xenograft model of human CLL that requires activated autologous T cells to support CLL B cell engraftment and proliferation. Furthermore, she has demonstrated in various animal models the heterogeneity of CLL clones collected from patient lymph nodes and peripheral blood. Specifically, she has successfully demonstrated that the very minor fraction of CLL clones that has the ability to home back to lymphoid tissues survives for the longest period of time in mice, and that another minor fraction enriched in active B cells can elicit autologous T-cell activation in lymphoid tissues. This work has suggested potential new therapeutic targets to treat CLL. Chen SS, Batliwalla F, Holodick N, Yan XJ, Yancopoulos S, Croce, CM, Rothestin TL and Chiorazzi N. 2013 “Antigen can promote progression to a more aggressive TCL1 leukemia by selecting variants with enhanced B-cell receptor signaling.” PNAS 110(16):E1500-7. Chen SS*, Ponader S*, Buggy JJ, Balakrishnan K, Gandhi VV, Wierda WG, Keating MJ, O’Brien S, Chiorazzi N, Burger J. 2012 “Bruton’s tyrosine kinase inhibitor PCI-32765 thwarts chronic lymphocytic leukemia cell survival and tissue homing in vitro and in vivo.” Blood 119 (5): 1182-9. Chen SS, Claus R, Lucas DM, Yu L, Qian J, Ruppert AS, West DA, Williams KE, Johnson AJ, Sablitzky F, Plass C, Byrd JC. 2011 “Silencing of the inhibitor of DNA binding protein 4 (ID4) contributes to the pathogenesis of mouse and human CLL.” Blood 117 (3):862-71. Chen SS, Sherman M, Hertlein E, Johnson AJ, Teitell MA, Byrd JC. 2009 “Epigenetic alterations in a murine model for chronic lymphocytic leukemia.” Cell Cycle 8(22):3663-7. Chen SS, Raval A, Johnson AJ, Hertlein E, Liu TH, Jin V, Sherman M, Liu SJ, Dawson D, Williams K, Chaffee B, Lanasa M, Liyanarachchi S, Lin T, Marcucci G, Pekarsky Y, Davuluri R, Croce C, Guttridge D, Teitell M, Byrd JC, Plass C. 2009 “Early Genetic and Epigenetic Events in TCL1 driven Chronic Lymphocytic Leukemia.” Proc Natl Acad Sci U S A. 106(32):13433-8. Hackanson B, Bennett K, Brena RM, Chen SS, Jiang J, Maharry K, Whitman SP, Schmittgen TM, Lübbert M, Marcucci G, Bloomfield CD, Plass C. 2008 “Dual epigenetic control of CCAAT/enhancer binding protein α (C/EBPα) expression in acute myeloid leukemia.” Cancer Res. 68(9):3142-51. Smiraglia DJ, Kazhiyur-Mannar R, Oakes CC, Wu YZ, Hall J, Liang P, Ansari T, Su J, Rush L, Smith L, Yu L, Liu C, Dai ZY, Chen SS, Wang SH, Costello J, Ioschikhes I, Dawson DW, Hong JS, Teitell MA, Szafranek A, Camoriano M, Song F, Elliot R, Held W, Trasler JM, Plass C, Wenger R. 2007 “Restriction Landmark Genomic Scanning (RLGS) spot identification by second generation virtual RLGS in multiple genomes with multiple enzyme combinations.” BMC Genomics 30(8):446. Raval A, Tanner SM, Byrd JC, Angerman EB, Perko JD, Chen SS, Hackanson B, Grever MR, Lucas DM, Matkovic JJ, Lin TS, Kipps TJ, Murray F, Weisenburger D, Sanger W, Lynch J, Watson P, Jansen M, Yoshinaga Y, Rosenquist R, de Jong PJ, Coggill P, Beck S, Lynch H, de la Chapelle A, Plass C. 2007 “Downregulation of death-associated protein kinase 1 (DAPK1) in chronic lymphocytic leukemia.” Cell 129(5):879-90. Dawson DW, Hong JS, Shen RR, French SW, Troke JJ, Wu YZ, Chen SS, Gui D. Regelson M, Marahrens Y, Morse HC, Plass C, Teitell MA. 2007 “Global DNA methylation profiling reveals silencing of a secreted form of Epha7 in mouse and human germinal center B-cell lymphomas.” Oncogene 26(29):4243-52. Liu TH, Raval A, Chen SS, Matkovic JJ, Plass C. 2006 “CpG island methylation and expression of the secreted frizzled-related protein gene family in chronic lymphocytic leukemia.” Cancer Res. 66(2):653-8.